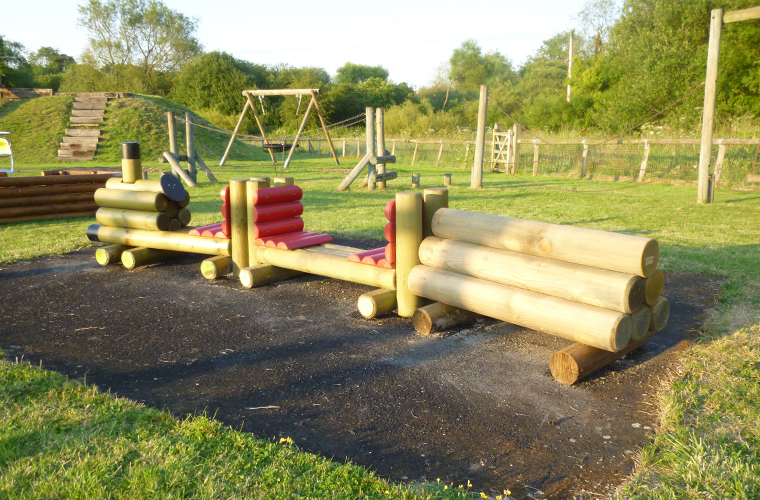 Double Junior Activity Tower comprising of a twin tower with roof, set of solid steps, tunnel bridge & 2.5m fibre glass slide, bench seat with balustrades and metal extension feet. Also includes a climbing ramp with pull rope and a vertical climbing wall. 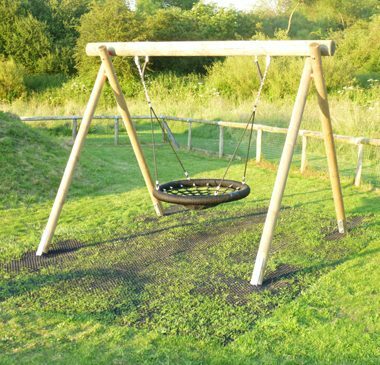 Basket Swing - a heavy duty timber frame with metal extension legs, supporting a 1.2m basket and safety chains. Flying Fox/Aerial Ropeway System with carriage, 25m cable and tensioning winch supported by timber A frames. Log Train - Log Engine with log engine and two different carriages so providing greater variant to encourage imaginative play. 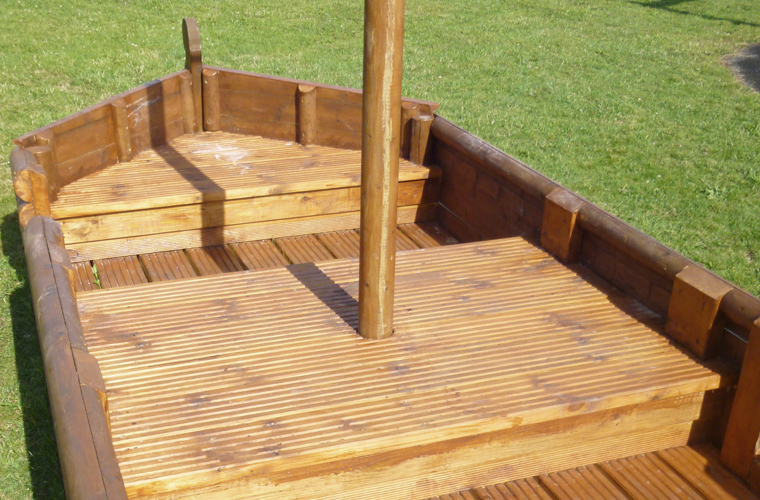 Large Timber Boat 3.5m long with timber base deck and bench seats positioned in the stern, bow and centre plus mast. Roundabout - 2m diameter, roundabout constructed from zinc-sprayed and powder coated steel with flush deck and space for two wheelchairs. It can accommodate up to eight children of all abilities and conforms to DDA guidelines. Safety Surfacing installed flush with the ground. Timber Seesaw for four users - a traditional seesaw unit with a metal galvanised pivot column and four seats with stainless steel grip handles. 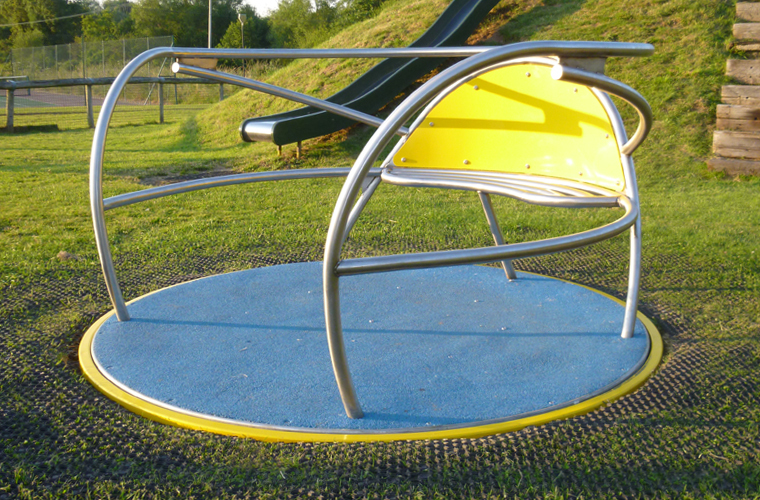 Rubber shock absorber cushions are installed at either end of the seesaw. 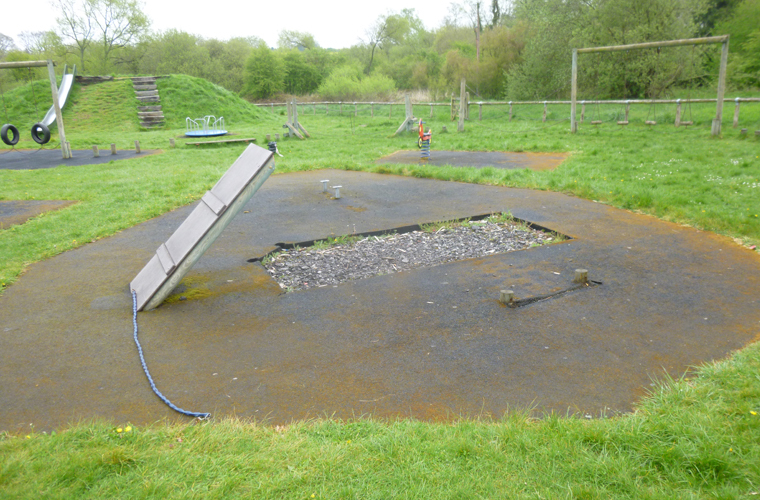 Grass Safety Mats were fitted around all the play equipment allowing the grass to continue to grow though it and be cut and maintained as normal. 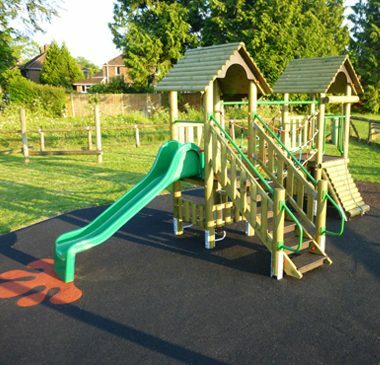 After public consultations and a string of fundraising events, the residents of Sutton Scotney were looking to extensively revamp the village playground. Some of the old equipment was removed because it was potentially too unsafe to use. 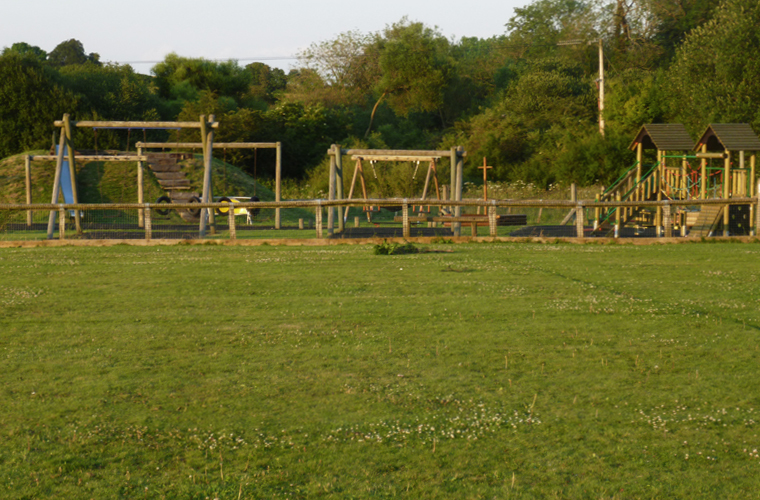 After careful consultation Caledonia Play produced a proposal which would provide a wide range of play equipment for children of all ages and abilities. 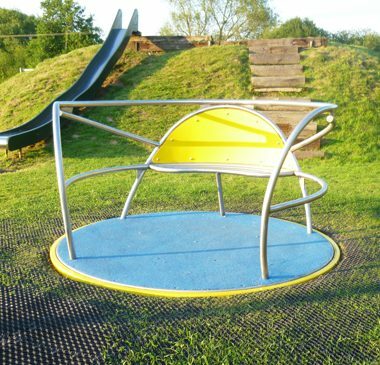 A proposal drawing was created outlining the best places to situate all the pieces of play equipment taking into account the flow of play and the required safety areas around each product. 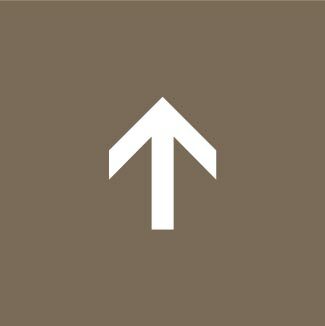 The new pieces of equipment were placed alongside the existing products which were still able to be used. The installation included the following products. 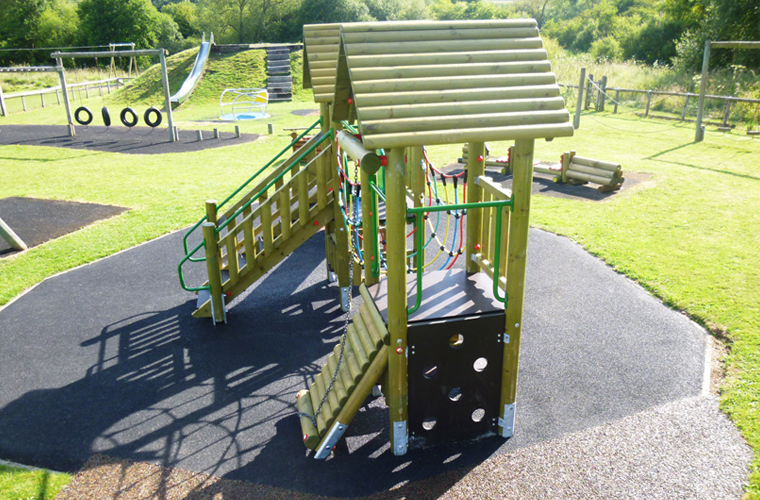 The key product in this installation is the Double Junior Activity Tower comprising of a twin tower with roof, set of solid steps, tunnel bridge & 2.5m fibre glass slide, bench seat with balustrades and metal extension feet. Also includes a climbing ramp with pull rope and a vertical climbing wall.